Sandy • It wasn’t as hot as it could have been for a mid-July soccer match along the Wasatch Front, as overcast skies created an unseasonably cool day despite the 5 p.m. first kick. 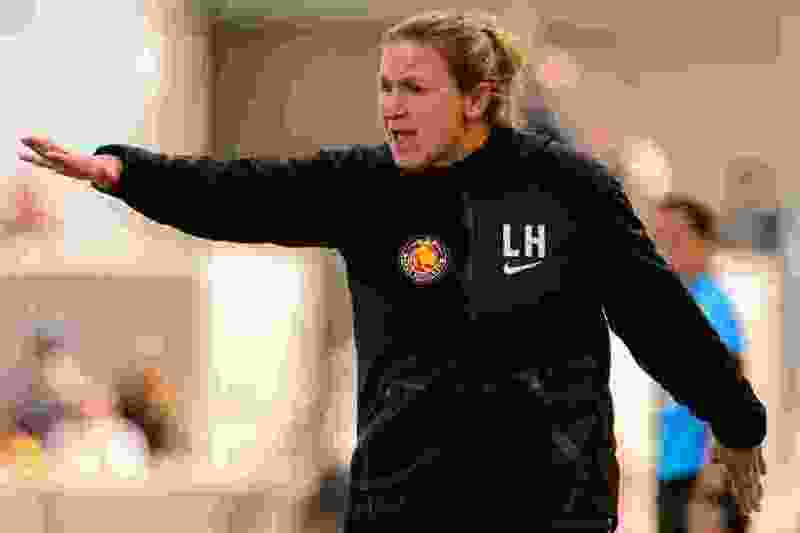 But Utah Royals FC coach Laura Harvey still went away steaming after her club lost 2-1 to the visiting Orlando Pride in front of an announced crowd of 8,761 at Rio Tinto Stadium. Now she will probably be a little lighter in the pocketbook. Harvey went off on how the match was officiated, and was particularly perturbed by a penalty kick awarded to the Pride late in the first half that was scored by longtime U.S. Women’s National Team forward Alex Morgan and tied the match at 1-1. The game-winner came early in the second half when Royals goalkeeper Abby Smith was woefully out of position, allowing Orlando’s Kristen Edmonds to chip the ball over her head in the 52nd minute. Later, Smith collided with a teammate, flipped head over heels, and landed on her head. After a lengthy delay, she slowly walked off the pitch under the direction of a trainer and was replaced by backup Nicole Barnhart. Harvey said she didn’t know anything about Smith’s condition in her postgame news conference. That would have been the story of the day, but Harvey let loose with her remarks, after basically acknowledging she would be fined for criticizing some of the decisions made by referee Reyna Fonseca and her crew. Asked if she received an explanation from the officials after Morgan’s equalizer, Harvey scoffed. She also said a yellow card assessed to Orlando’s Alanna Kennedy on the play in which Smith was injured was not the right call. The Royals (5-6-6) remained in sixth place in the NWSL, but are stuck on 21 points and will tumble to seventh if Houston wins Sunday. It was their third-straight loss, the first time this season they’ve dropped three in a row. They haven’t won a match since June 30. Defender Rachel Corsie called the Pride’s penalty kick goal “really hard to take” and a “real sucker punch” to the team’s morale. “It just takes the wind out of your sails,” she said. And some cash out of the coach’s bank account, probably.